I do DevOps and Duct Tape. 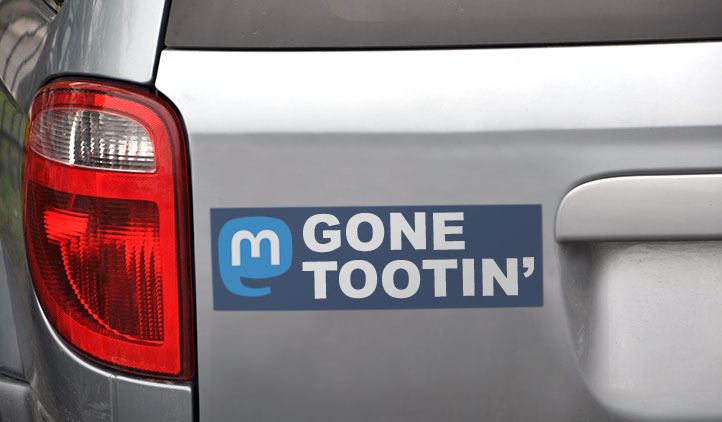 i NEED this Mastodon thing to take off because i just ordered 80,000 of these bumper stickers from the printer, and i can't afford to be caught holdin' my junk if this whole thing fizzles. please consider my personal commercial interests when choosing a social media platform, thk u! I still see the occasional person on Twitter say that Mastodon will never "succeed", but I wouldn't call what Twitter has "success". Mastodon is good ol' community building. We don't want to be exhausted by brands and promotion, nor have the platform continue to be unethically designed and lack any backbone for moderation. Federation spreads out the moderation task and the lack of brands and promotional nonsense is good. We can just follow and talk with others which is all people really need. Just found one workaround to login Chat Mac App: Just change all the &apos;IN_NEW_WINDOW&apos; and "EXTERNAL" to "_blank" in /Applications/Chat.app/Contents/Resources/app/main.js. Then start the Chat App and login, you can use the Chat App now. "The base robot is mobile, and can listen and talk. How do you want to customise it?" "But then what use will it be?"